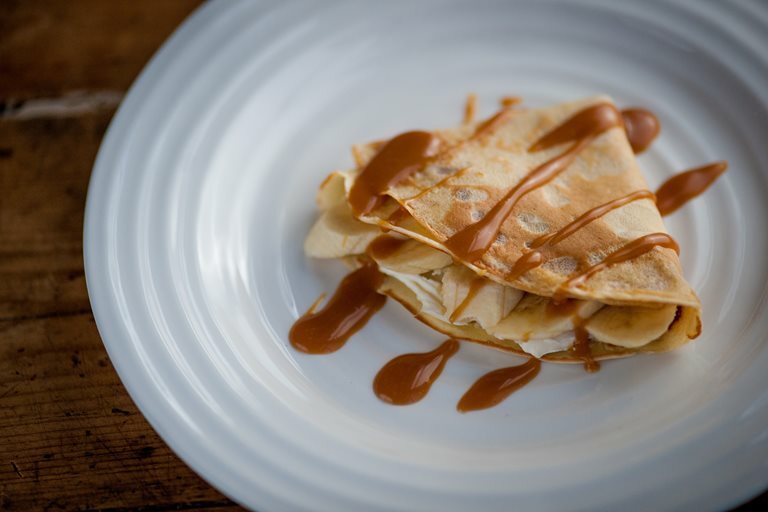 Pancakes are a marvellous treat, and this banana pancake recipe from Marcello Tully features a drizzling of decadent toffee sauce. Perfect for a special breakfast dish or as a quick dessert, these pancakes are easy to make. When Brazilian-born chef Marcello Tully started his career at fourteen, he may not have anticipated working on the starkly beautiful island of Skye – but then he probably didn’t expect to be crafting some of the most exquisitely refined Scottish-influenced food on the planet, either.